PROFESSIONALS pay 15% the replacement value. 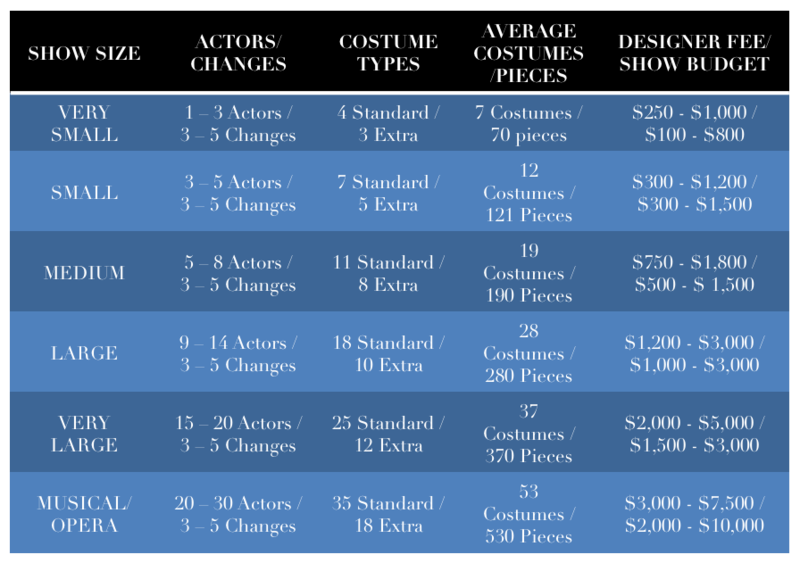 These are charts broken down by size and complexity of show. While these charts are approximations for budgeting purposes, they can help with planning your next trip to the shop. ­Likewise, when material budgets are small, we encourage designers to give the same option to their stitchers.